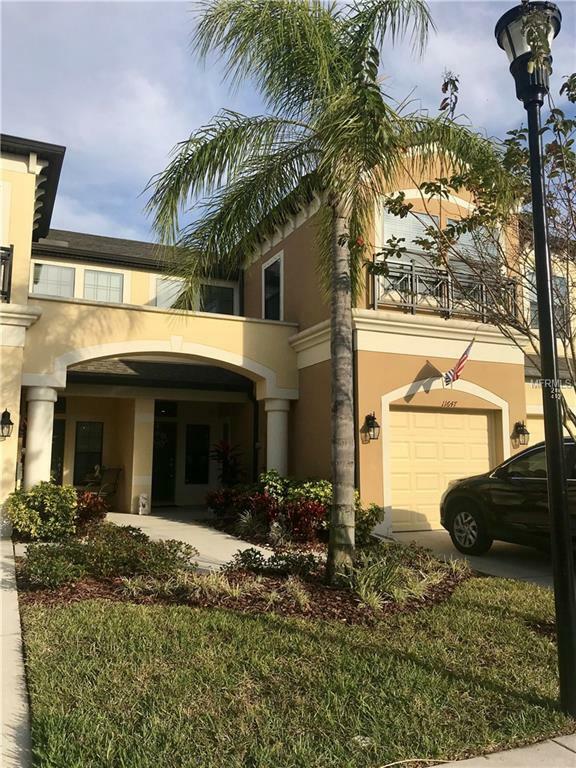 This is a beautiful three bedroom two & a half bath townhome located in Tampa. The kitchen has stainless steel appliances, quartz countertops & wood look tile in the main areas of the home. There is ceramic tile in bathrooms & carpet in the bedrooms. The home also has a full laundry room, a single car garage, and a screened in porch. Excellent features!! This one will not last. Pet Restrictions Needs Owner Approval. Listing provided courtesy of Beach Place One Real Estate.